It is 4:30 pm. The baby is in her highchair, crying because she woke up early from her nap and because…well, it’s 4:30 pm. The toddler is in your Tupperware drawer throwing lids into the air and ‘cooking’ right along with you. You’re standing over the stove trying desperately to whip together something at least somewhat nutritional for your family. Even while you’re cooking you know that there is a high chance that your toddler is gonna turn up his nose at whatever it is you place in front of him. You have one ingredient to add when you hear, ‘uh oh‘ from behind you. Yeah…now there’s a puddle of pee and a bunch of Tupperware sitting in it. The baby is still crying, the dinner isn’t finished, and the living room floor is still scattered with toys. Sound familiar? 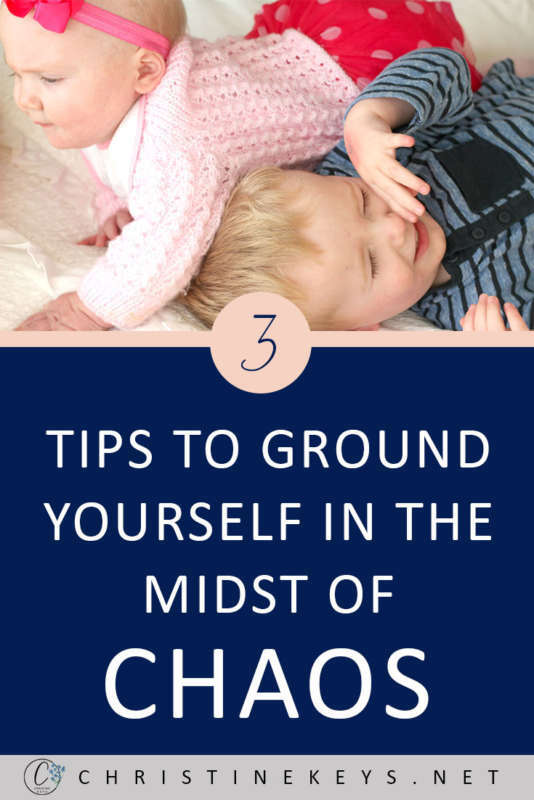 Here are my 3 tips to ground yourself amidst the chaos. I know what it is like to be in chaotic situations. I have a 2-year-old and 8-month-old. Life is crazy 90% of the time. I wouldn’t change it for anything but I do have to include strategies that work to keep me grounded or else everything starts to fall apart. When there is so much chaos around there has to be something that is constant. That something is you, mama. So, when you’re in that moment and you don’t know which fire to put out first, just stop. I don’t mean a quick breath and off you go. I mean stop for at least ten seconds and take a couple deep breaths. 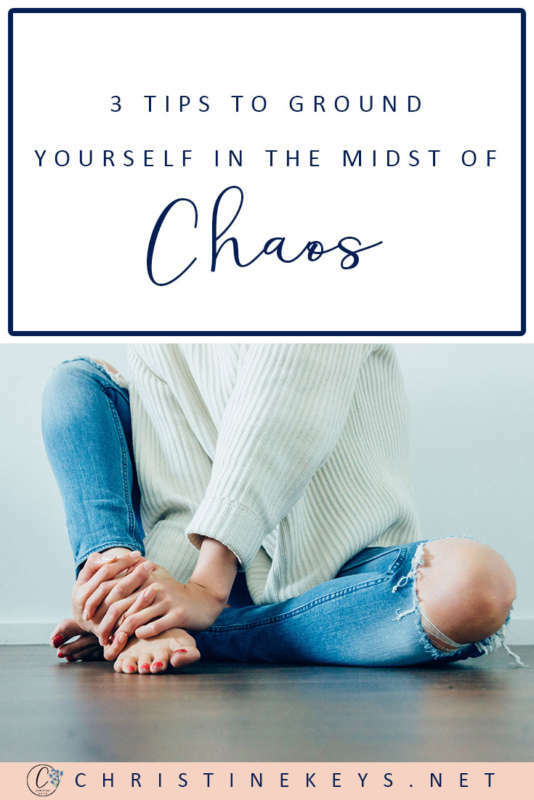 Chaos tends to creep into our minds and create havoc there too. By stopping for just a moment you can allow yourself some headspace which will, in turn, allow you to think more clearly and react more calmly. Allowing yourself some headspace is awesome but the fires still need putting out, so now you need to think. What needs to be dealt with first? If it were me I would be tending to the puddle of pee on the floor. Toddlers have a knack for making a mess and then making it ten. times. bigger. I know I’m guilty of believing that I need to get everything done when in reality I’m the only one with such high standards. Focus on your children and then dinner. The toys will get picked up eventually and hey, they might be a good distraction for your toddler while you tend to the baby, the mess, and getting dinner finished. Mamas are superheroes, right? Make a list in your mind of what REALLY needs to get done, and then shuffle that into the appropriate order. There are some days though when despite my best efforts, everything seems to be falling apart and I just can’t seem to catch up. The children are unhappy and the house is a tip. On those days, in those moments, I have the choice to be angry or to embrace it. Put it aside and ask your husband to get take out, or make toasted cheese sandwiches later. 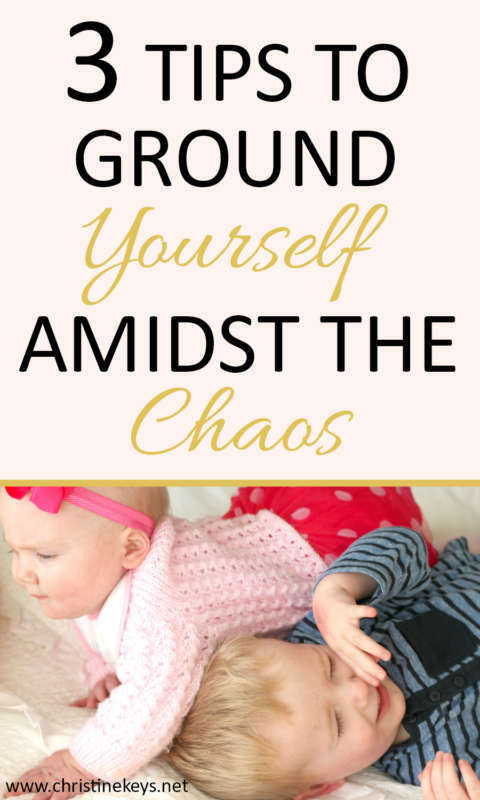 Clean up the toddler puddle, but instead of worrying about the rest of the mess, take your babies and play or read with them. Hey, sometimes I even put on a movie and we all cuddle on the couch. The kids love it and it helps me to get my attitude in check. 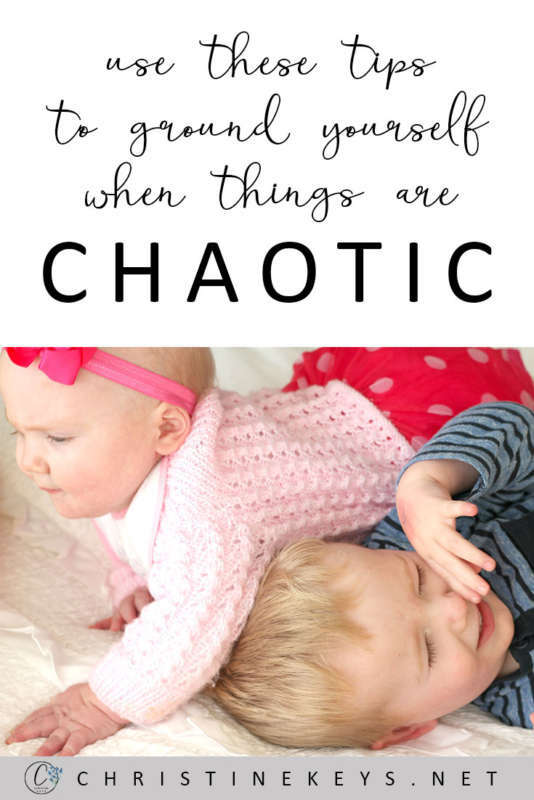 Laugh amidst the chaos, because the reality is that 90% of life with children IS chaotic. If you can’t learn to laugh in the chaos then you probably won’t laugh very often, and I can assure you that there isn’t a child that doesn’t love to see his mama happy. What do you want your children to remember? A joyful mama, or one that is frustrated and angry. I know I tend to fall into the latter category far too often, so these tips are as much for me as they are for you, my friend. 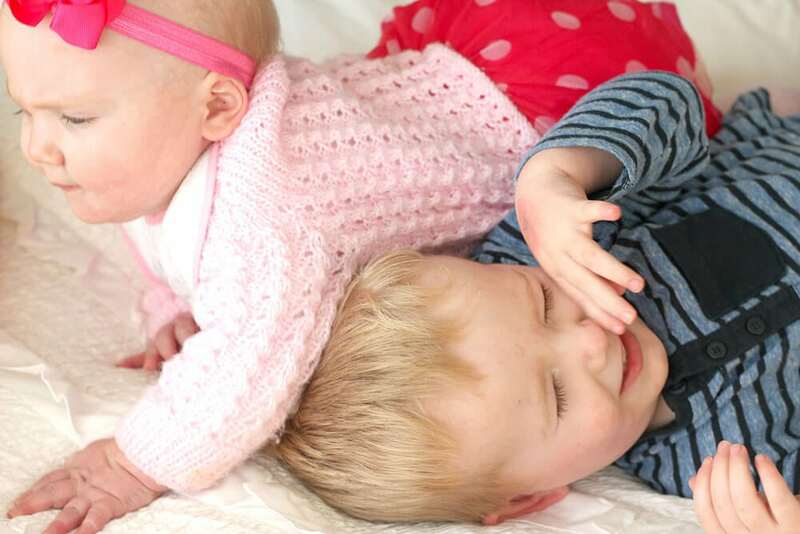 Do me a favour now and share with me your tips for staying sane in the chaos of motherhood. 🙂 We’re all making this crazy journey together so let’s learn from each other.